Фотобанк РОСФОТО - микросток. 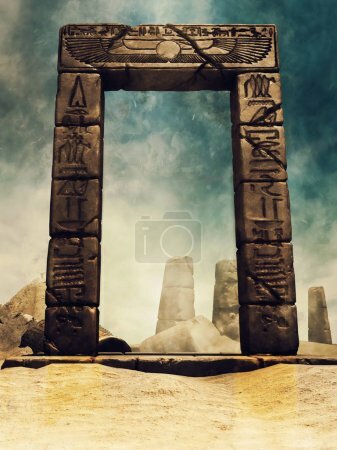 Лицензионные Фото, Видео, Музыка - Desert ruins of an ancient Egyptian temple with a stone arch with hieroglyphs. 3D render. Desert ruins of an ancient Egyptian temple with a stone arch with hieroglyphs. 3D render.